To get more smaller and medium sized Russian businesses to discover the Indian growth story, India needs to create an environment conducive to international trade and commerce and streamline bureaucratic procedures. There’s a popular misconception spread by Indian bureaucrats, both retired and serving, that the onus on increasing bilateral trade between Russia and India lies solely with the Indian Embassy in Moscow. The “experts” often point out to the bilateral trade figures of India and China (skewed as they are in favour of the latter) and mourn the fact that Indo-Russian trade ties are well below their potential. Russia is not in the business of making inexpensive consumer goods and exporting them around the world. In this day and age, such a scenario would be next to impossible, so this comparison vis-à-vis India’s trade with Russia and China is ludicrous. Diplomatic missions definitely have an important role to play when it comes to promoting trade. The former Indian ambassador to Moscow travelled to many parts of Russia and met important officials and businessmen, carrying a message that India was open for business. The embassy’s role is to provide information, consular support, promote the country and support initiatives from business bodies, as well as liaison for important government-to-government projects. The real thrust and initiative has to come from the government itself, and within the country. Take the example of the wonderful ‘Incredible India’ campaign to promote tourism, the brainchild of India’s finest public servant Amitabh Kant, who is now in charge of the Delhi-Mumbai Industrial Corridor. India is branded and marketed to perfection overseas, but when excited tourists arrive at most of the entry points in the country, they realise that there is no decent public transport to get to the city centre. India, quite often, turns out to be incredible for the wrong reasons for tourists. India may streamline tourist visa procedures for 180 countries now, but what is being done to make conditions easier for tourists in the country? Russian businessmen I have spoken to are keen to enter the Indian market but complain about the red tape, poor infrastructure and unpredictability of the country. When I point out that Russia has similar problems when it comes to bureaucracy and unpredictability, they agree and say that this is the main reason they look for opportunities abroad in the first place. 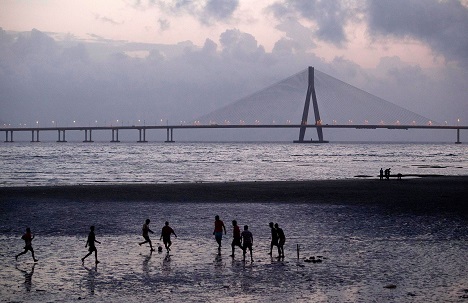 Mumbai, India’s business capital has a very small Russian expat population, with the best estimates being below 200, including diplomats and spouses of Indian citizens. Dubai on the other hand, has more than 15,000 Russian expats. Even places that don’t have strong traditional links with Russia, such as Thailand and Singapore are looked upon as good places to do business by Russians. The most sure-fire way for India to increase and sustain bilateral trade with Russia is to get more small and medium-sized businesses from Russia to set up shop in India. For that, an environment conducive to international trade and commerce needs to be created and bureaucratic procedures streamlined. The emerging economies that are vogue for foreign businessmen and expatriates seem to have gotten these basics right. Of course, better infrastructure and easier conditions for small and medium-sized business are needed primarily for locals. The attractiveness of a place to attract the most enterprising entrepreneurs and the brightest minds from abroad is really a fringe benefit. At last month’s Gaidar Forum, Russian Prime Minister Dmitry Medvedev announced a series of measures for small and medium enterprises including a two-year tax holiday for new businesses in manufacturing, services and research. Foreign businessmen can also take advantage of these measures and set up shop in Russia. This is something that authorities in India need to take a serious look at and even think of replicating. Even those Russians who genuinely love India and are willing to work in the country, despite the challenging conditions, find it difficult to overcome Indian bureaucracy. I take the example of a brilliant friend from Ulan-Ude, who first came to India as an AISEC exchange student. She worked as translator in Pune for a couple of years and then lived in Bangalore for about 4 years. Her professional life in India came to an abrupt end when the Indian government came up with a new law where work permits were only granted for those who made a salary of more than $25,000 a year. The law was aimed at Chinese companies that brought in blue-collar workers, but managed to push away many young and bright foreigners who wanted exposure to India. India insists on provisions calling for free movement of service professionals when signing economic pacts with foreign countries. In fact, New Delhi has moved away from free trade agreements to comprehensive economic partnership agreements with important partners. While negotiating a pact with the Customs Union of Russia, Belarus and Kazakhstan, India needs to be flexible when it comes to labour laws for younger professionals from Russia. It’s the young entrepreneurs who are dynamic and have more innovative ideas and India should look at attracting the brightest and most enterprising people from Russia. They will be the bridge that leads to much larger trade volumes between the two countries.